Lee County Sheriff's deputies responded to an armed robbery that resulted in a shooting in North Fort Myers. After further investigation, detectives have determined three male suspects were involved in the botched robbery. Detectives said the armed suspects entered the business and confronted the victims. Fearing for their lives, one of the victims shot one suspect who was transported to a nearby hospital to receive treatment. The other two suspects Joshua Tatlock, 32, and Killian Irberseder,18, have been arrested. Both are charged with armed burglary of an occupied structure and aggravated assault. 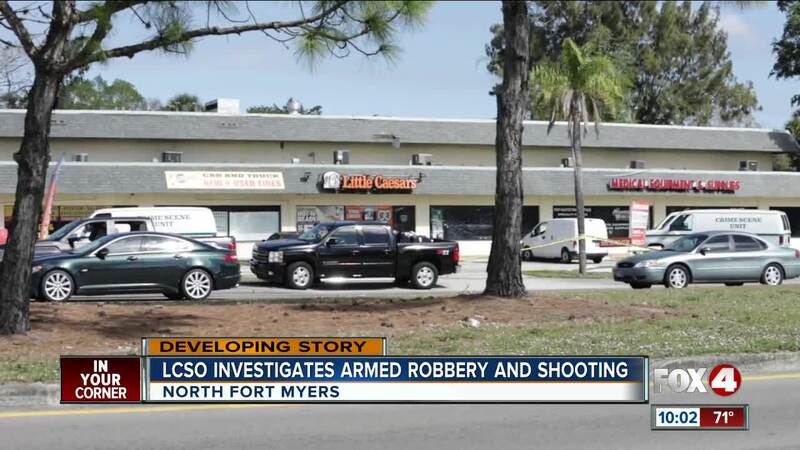 Early Saturday morning, Lee County Sheriff's deputies responded to a call about an armed robbery that resulted in a shooting at the Merchant's Commerce Center off Pine Island Road in North Fort Myers. LCSO cannot confirm her story, but a woman who works nearby says the intruder entered one of the stores with a shotgun telling three workers to get on the ground. “I guess the other three guys had guns as well. And when they got on the ground they shot him," said Kristie, a worker at Little Caesar's. Kristie says her position has her working nights and now she feels afraid. “My heart sank because what if we were working? Now it just makes it even scarier, knowing what can happen," she said. Customers at the Bank of America across the street feel the same way. Robert Leger says the robbery was too close for him to feel safe. “We may look for another Bank America location," Leger said. “If they’re that close to me, the crime scene could’ve been on this side of the road. It could’ve been here. We’re lucky that it wasn’t here." Major Crimes Unit is taking over the investigation. LCSO says there is no threat to the public, but an arrest has not been made on the suspect or suspects involved. Click here for the press release on the armed robbery.